« 8 Incredibly Easy Meals Anyone can Make! Just Listed! INCREDIBLE 4 BEDROOM 2.5 BATH HOME! If you or someone you know are looking to buy a beautiful home in the near future, this one definitely doesn’t disappoint. Amazing 1 Story ~ 4 Bed 2 1/2 Bath Home ~ Over 1936 sq ft. in Quiet Mature LEGENDS OF HUTTO, Spacious Formal Living & Dining, Open Floor Plan, Large Kitchen, Fireplace in Family Room, Spacious Bedrooms with Walk in Closets. Enjoy the Oversized Master Retreat with Extra Relaxing Space. Private Backyard Great for Entertaining on the Covered Patio. 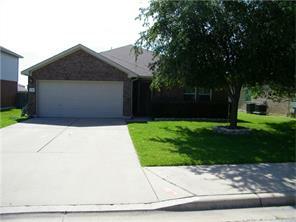 Easy access to Elementary & High School, Minutes from Downtown Hutto and Surrounding Shopping Centers. If this doesn’t suit your needs not to worry! I am here to help as I can. Think of me as your Austin Real Estate resource, if you or someone you know have any real estate needs!